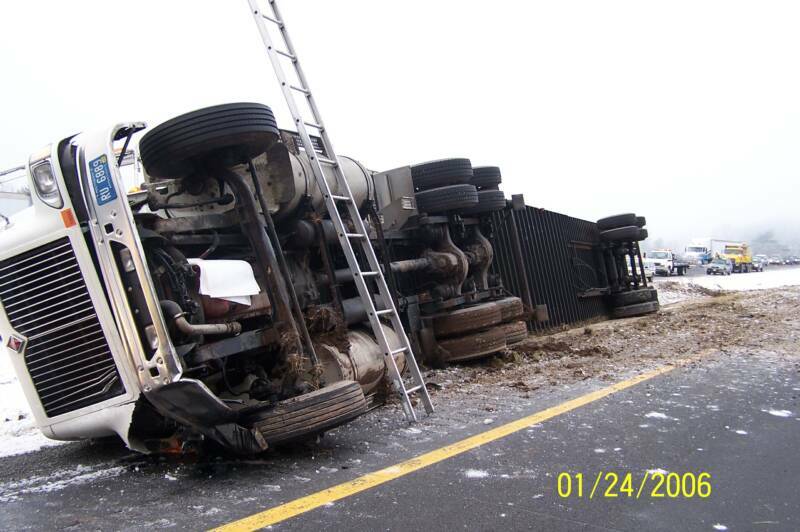 1/24/06 - At 07:54, both Fire Station and Squad 39 along with 32 Rescue and 33 Rescue were alerted for an Auto Accident on Interstate 84 with reports of an overturned Tractor Trailer and entrapment. Westfall Volunteers responded with Engines 1 and 2, as well as A-398 and A-399. Units arrived to find an 18-Wheeler overturned and lying eastbound on the westbound shoulder and a Chevy Camero with severe rear-end damage. 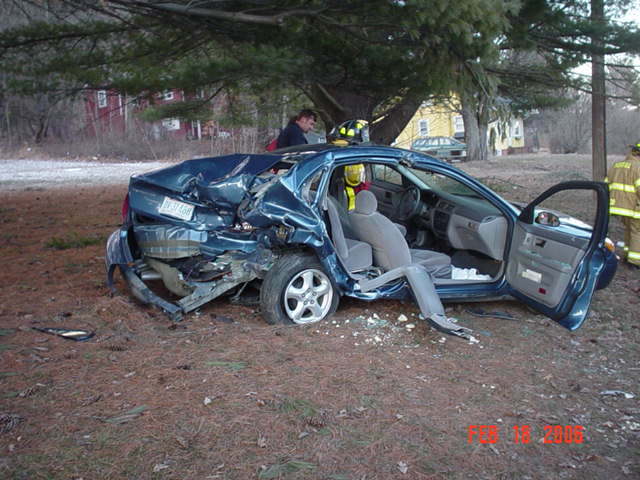 A quick survey revealed that all occupants were self-extricated with minor injuries. Rescues 33 and 32 returned to service. 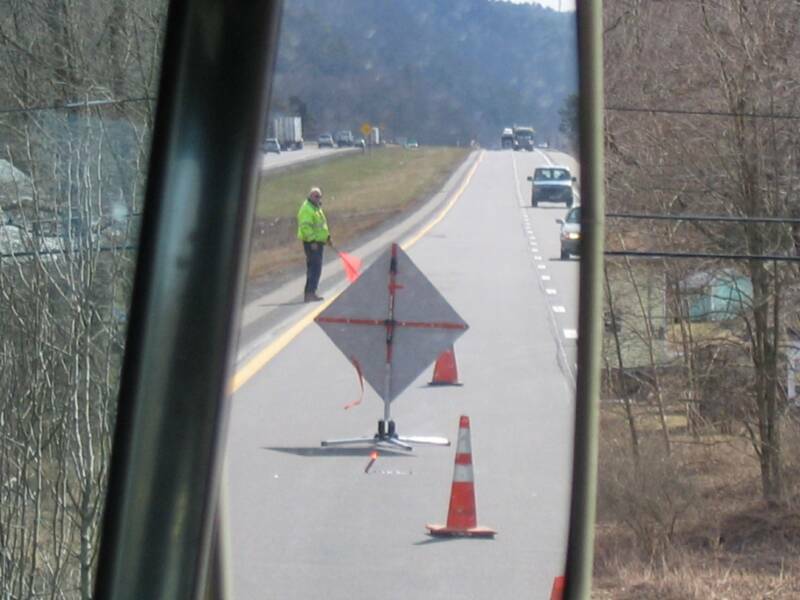 The ambulances transported a total of 3 patients while the Apparatus remained on scene assisting with traffic and safety during the upright of the rig. 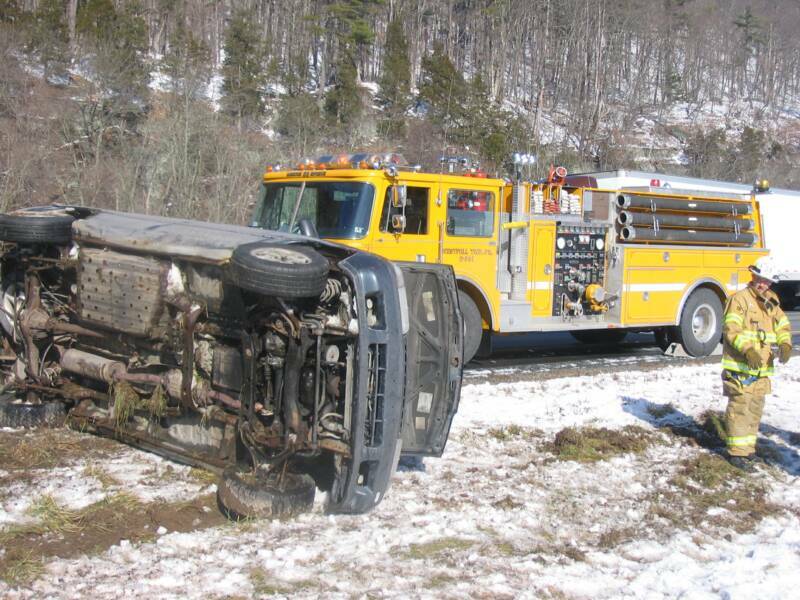 At 12:30 , both Fire Station and Squad 39 were once again alerted for an overturned auto on Interstate 84 opposite the Wal-mart (MM52). Engine 2 and A-399 arrived to find a Mazda MVP overturned and the occupant GOA. Eventually, the sole occupant returned and was met with some PD questioning. 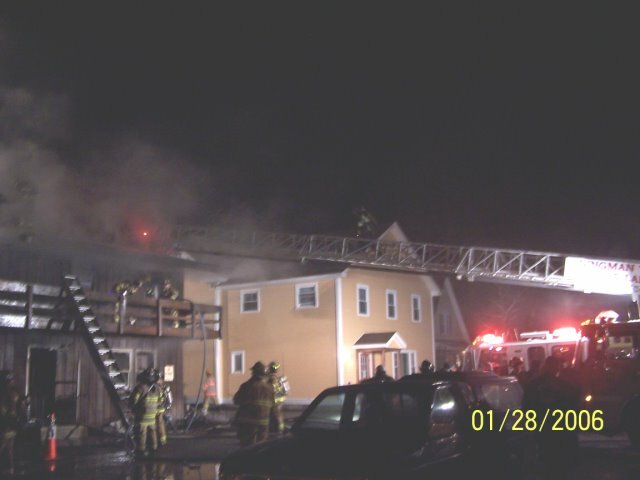 1/28/06 - At 20:36, Station 39 was requested into Milford Borough with 39 Engine 1 to the scene of a working fire in a two-story wood framed mixed occupany. Soon after, 33 command requested a full response bringing 39 Engines 2, 39 Tanker ,A-399 and 25 volunteers. On arrival with heavy fire venting from the second floor rear, Engine 1 put a second handline into operation backing up 33 Engine. 39 Engine 2 and 39 Tanker established a tanker shuttle dump site north of the fire building on E. Hartford St. supply water to the operating units. All units returned to service at 00:26. 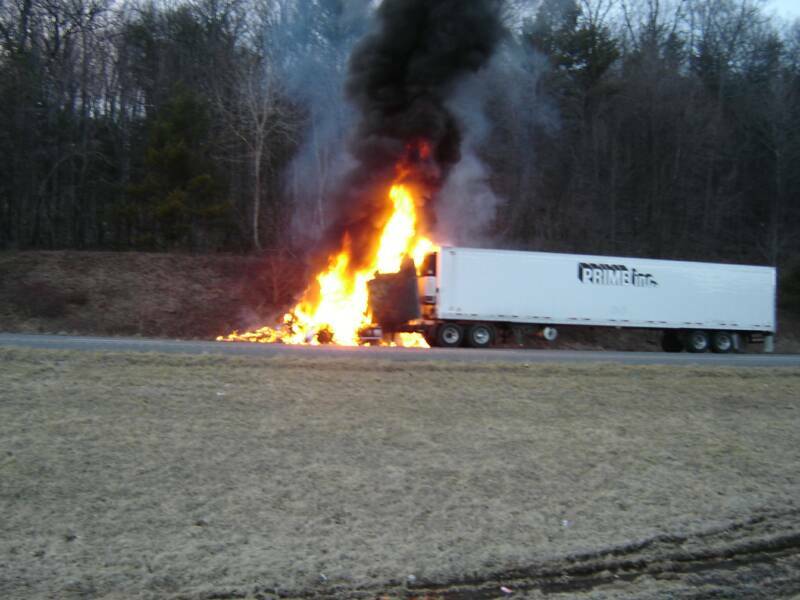 2/07/06 - MILFORD TWP - At 17:10, Station 39 was requested into Milford Township with 39 Tanker & 39 Brush to the scene of a working Tractor Trailer fire with extension to the ajoining brush. 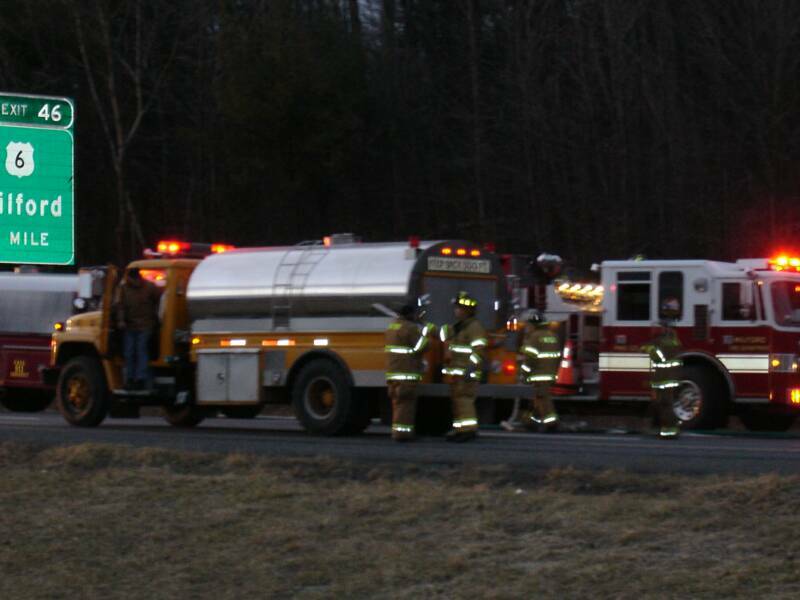 On arrival, the tanker nursed 33 Engine while the personnel from 39 Brush assisted with overhaul. All units returned to service at 19:00. 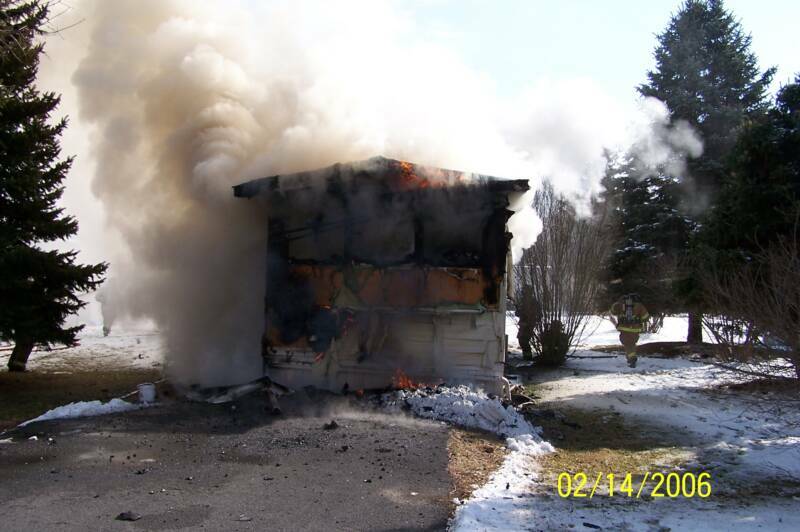 2/14/06 - WESTFALL TWP - At 12:56, Station 39 was alerted for a structure fire with possible entrapment in the Green Acres Trailer Park. Deputy Chief Ellison while enroute requested mutual aid from 33 (Milford) for an Engine and Tanker and 34 (Mill Rift) for a Tanker. On arrival, DC-2 advised of flames showing from a trailer home with confirmed entrapment and fire threatening dwellings on exposures 2 & 4. Addtional mutual aid was requested from 32 (Matamoras) for an Engine and Fast Team, Huguenot NY for a Tanker, and Montague NJ for a Tanker. 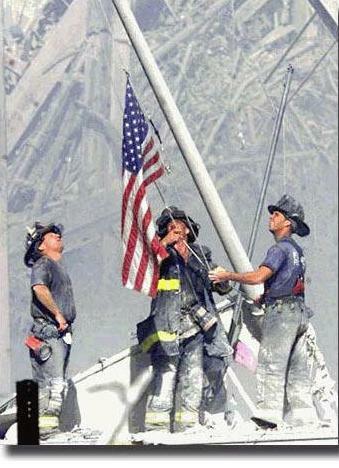 More than 30 firefighters operated to control the fire that claimed the life of the sole occupant. Westfall Twp. Police and the State Police Fire Marsal are investigating the cause of the fire. 2/15/06 - SPARROWBUSH NY - At 16:46, Station 39 was requested into Sparrowbush NY with 39 Boat & the Dive Team for a capsized canoe in the Delaware River with 2 fisherman in the frigid waters. Units were quickly updated by Sparrowbush Command that one victim is on shore and the other disappeared in the water. Dive Teams from PJFD, SECO, 32, 33, 39 placed divers in the water under the lumination of several Rescue Truck light towers. Units operated in the water until 20:00 when command called off the search due to night fall. 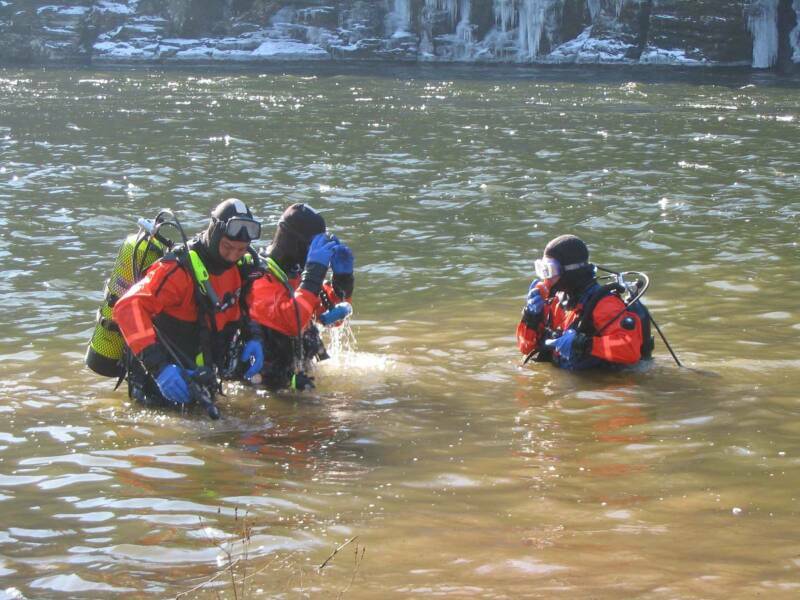 2/16/06 - Dive teams and K-9 from FD's and PD's within the tri-state area reconveined at 09:00 and continued the search in the 37 degree waters. With the help of a underwater camera, a Sherrif's K-9 dog, and several divers, the victim was recovered just after 13:00. 2/17/06 - DELAWARE TWP - At 11:48, Station 28 along with Ice Rescue Teams from Stations 24 (Bushkill), 26 (Dingman), 33 (Milford), and 39 (Westfall) were alerted to Birchwood Lakes in Delaware Township for a man through the ice. Units were soon updated that 2 other individuals attempting to help have also fallen through the ice. 39 Brush and 4 volunteers took in the daytime response. 39 members in cold water exposure suits assisted in a successful rescue of several victims who were flown to an area trauma center for severe hypothermia. 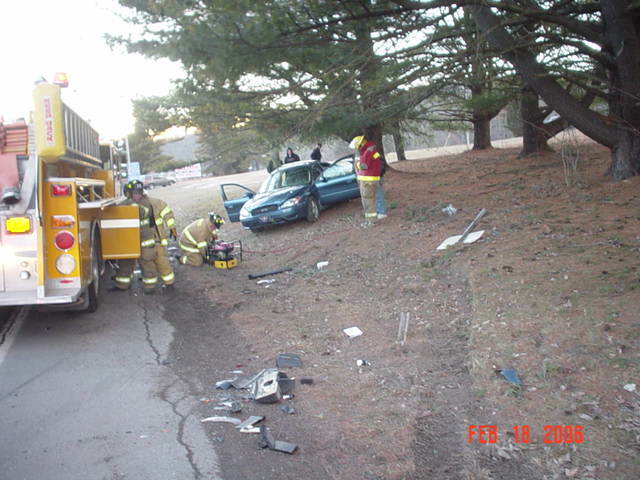 2/18/06 - WESTFALL TWP - At 16:30, Station 39 was alerted for a two vehicle auto accident on Route 6 & 209 near the intersection of Shady Lane. Assistant Chief Llewellyn in command updates incoming units of entrapment in a 4 door Ford sedan that was struck from behind by a light duty dump truck. Engine 2 arrived and put the Amkus tool to work extricating 2 occupants with minor injuries. Regional ALS and two BLS rigs from 33 (Milford) assisted in treatment / transport. 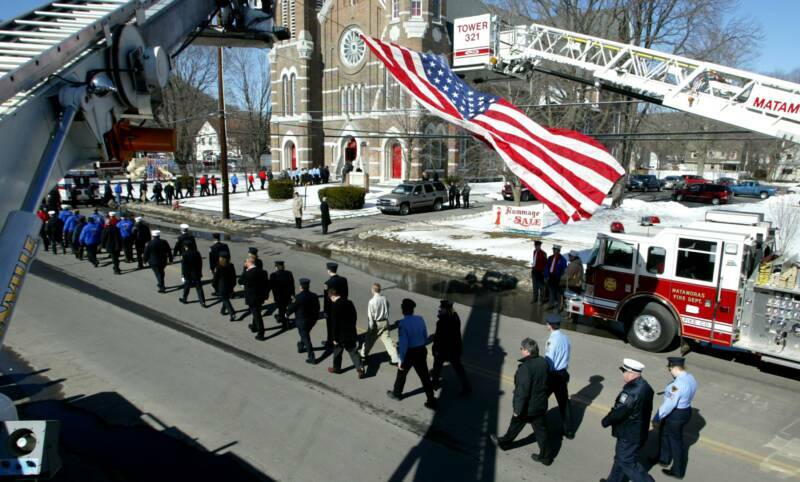 2/21/06 - Through the assistance of state grants and local donations, we have been able to make the following possible. 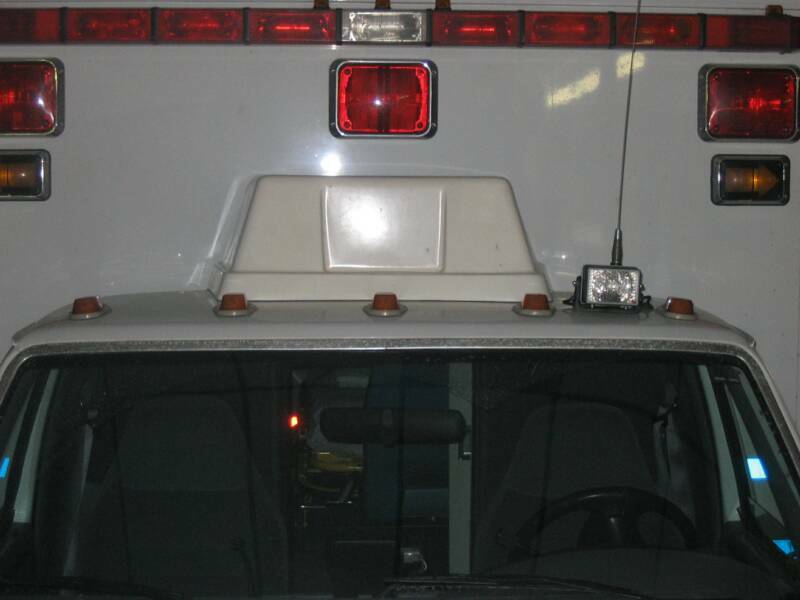 On Friday the 17th, General Highway Products paid us a visit to install 3M Opticoms on both ambulances and to replace the unit on 39 Brush. All our apparatus now currently have "Opticoms". These units were made possible by a donation from Marge Tonkin, daughter of charter member Irv Hulst. On Tuesday the 21st, Fire & Rescue Products spent the day in our quarters installing new firecom systems in both our Engines. Engine 1 received a new model 3025R and the 3000 series was tranfered into Engine 2. 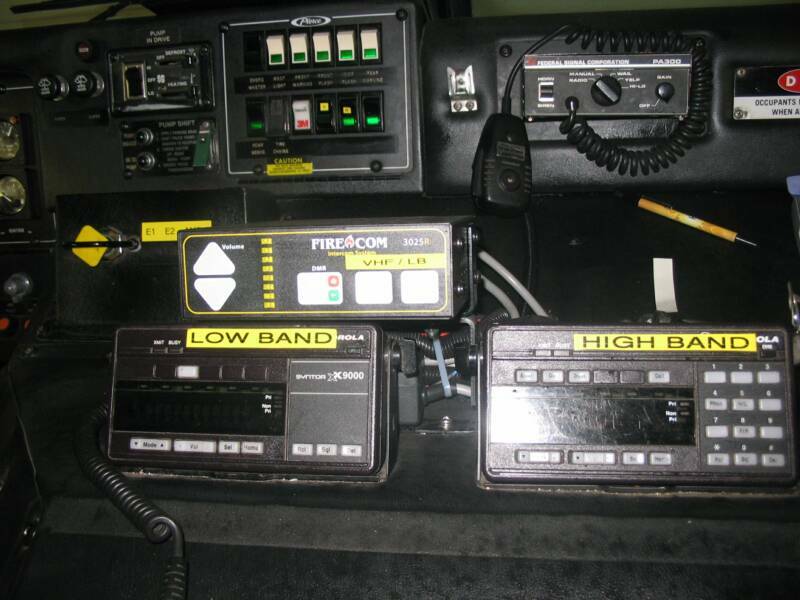 Both units have dual band capability incorporating both VHF & Low-band radios. These systems were funded through the 04'-05' VFCVAS State Grants. 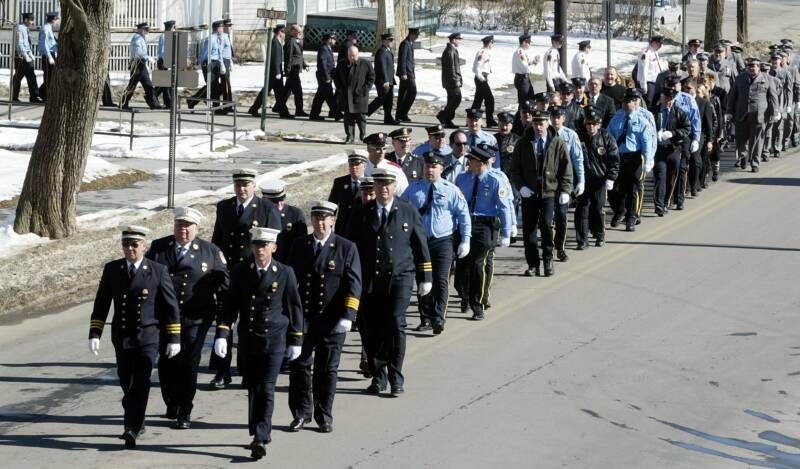 3/5/06 - PORT JERVIS NY - Station 39 paid tribute to City of Port Jervis Past Chief Donald "Ozzie" Devore by attending funeral services today. Ozzie served as the cities Chief of Department from 2003 to 2005. 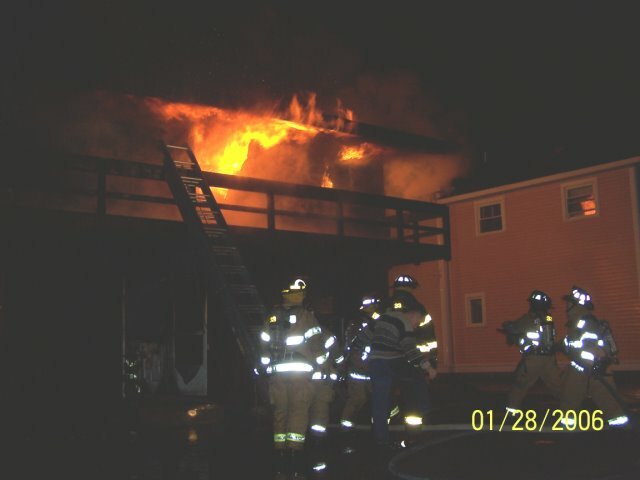 In previous years, Ozzie has served twice as the Captain of the Excelsior Engine Co. 5, as well as each Assistant Chief position before ranking as Chief in 2003. Over 500 people attended the services at the Deerpark Reformed church followed by a parade of fire apparatus to the Sparrowbush NY Cemetary. 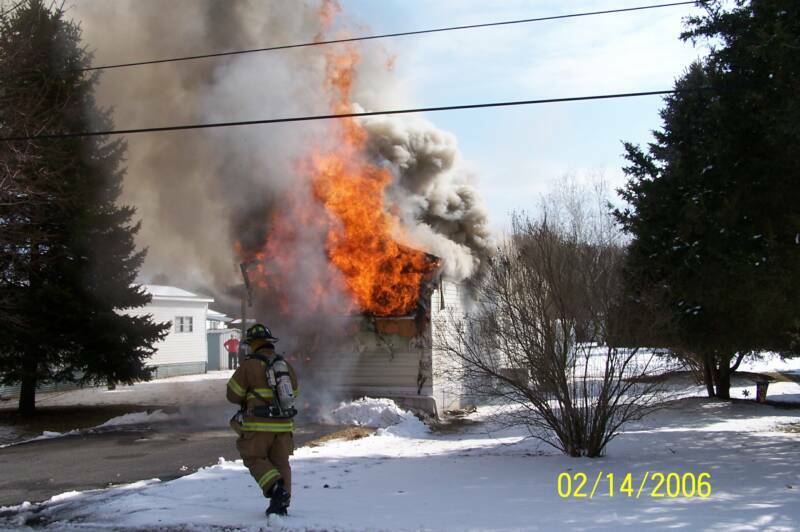 Photos courtesy Michele Haskell, Times Herald Record. 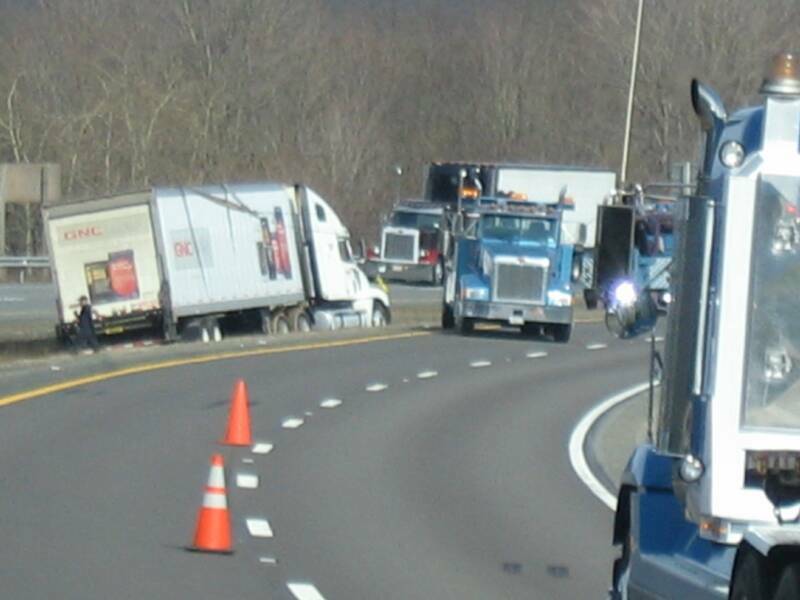 3/28/06 - WESTFALL TWP - At 14:22, Station 39 was alerted to assist the Pennsylvania State Police with traffic control at the scene of accident on Interstate 84. Engine 2 arrived to find a Tractor Trailer off the roadway and stuck in the muddy median. Fire Police Personnel directed traffic while several large tow trucks removed the rig. Units cleared the scene at 15:38.